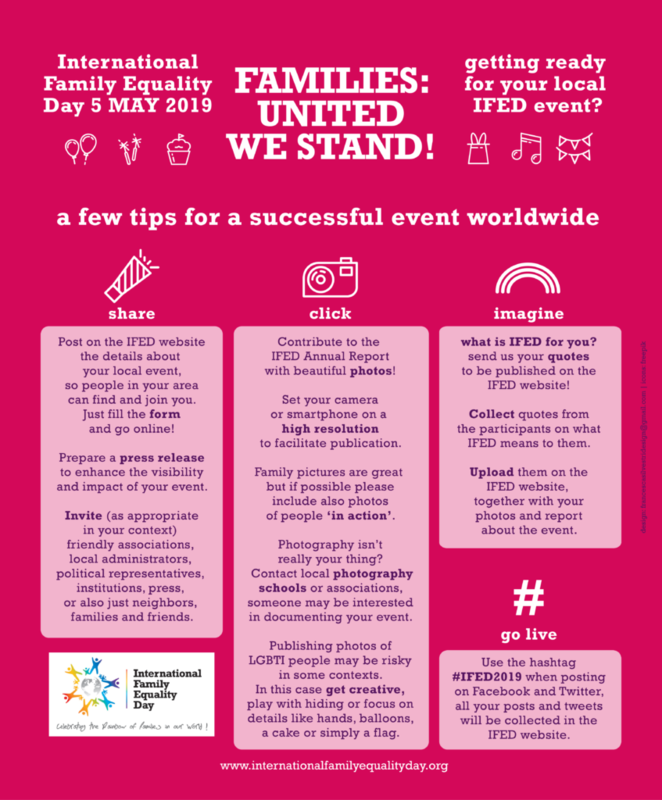 The International Family Equality Day (IFED) Network invites all rainbow families and their friends and advocates, as well as institutions, NGOs, family organisations and politicians from across the globe, to enjoy this wonderful day and feel the empowerment of this global event. See you in 2019! The resolution invites local and regional authorities to commit to diversity policies inclusive of LGBT rights, to work closely with LGBT advocacy organisations and human rights NGOs, to promote good practice through networks such as the „Rainbow Cities“ and to ensure the delivery of discrimination-free policies and services. 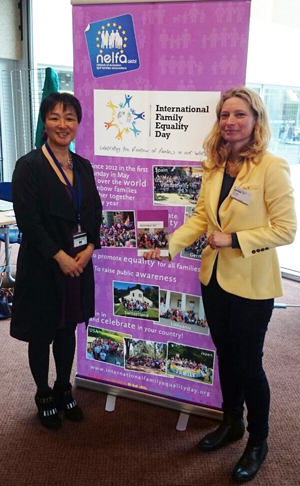 The report mentioned for the first time the importance of celebrating International Family Equality Day (IFED) under local activities aimed at raising awareness to promote a tolerant and cohesive society.